Fresh-picked coffee cherries are directly traded from 400 small-scale farmers in the Los Yungas region, and then hand roasted in Victoria, British Columbia. Growing altitude: 1400 - 1800 metres above sea level. Harvest: May - August. Medium Roast Profile: Rich and buttery, well-balanced cup with citrus and floral undertones, lingering hints of milk chocolate, and delicate, clean, caramel finish. Rich crema makes this coffee ideal for everyday enjoyment. 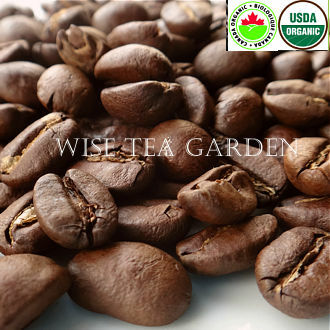 Ingredients: Organic Arabica Coffee Beans Grade A. This coffee is grown by small-scale farmers in the eastern part of D.R. Congo, near Lake Edward and north of Lake Kivu. Hand roasted in Canada. Growing altitude: 1500 metres above sea level. Harvest: All Year Round. 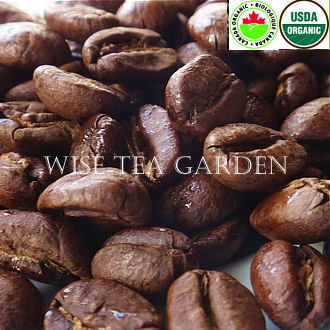 Medium Roast Profile: Sweetly floral, full-bodied cup with orange-like acidity on entry, smooth milk chocolate undernotes at centre, and clean finish with exotic spicy notes of molasses and clove.